Canon 600D DSLR is sequel to Canon’s bestseller 550D, where Canon tried to give more adrenaline with their PC Laptop quality crap build at affordable price. After the death of full frame DSLR and getting bankrupted after purchase of 15″ MacBook Pro and all Possible upgrades, an immediate solution was needed. May be Canon 600D not of my quality of choice, money makes us to compromise – either buy state of art quality product and get bankrupted or buy crap quality product. In either way, consumers are proved to be donkeys. I had wish to buy Sony DSLR first, then decided to go with this micro DSLR and go for a pro grade Full frame after the bank account gets a bit reloaded with time. So, if you fall in my category and desperately need a DSLR closing both your eyes and all theoretical knowledge about Sensor, this article on Canon 600D DSLR Review will be of much help. It is a matter of fact, we do review of only things we purchase and use. You can take that, this is an users’ review on Canon 600D DSLR. Which might give you more neutral point of review. Which DSLR Camera to Buy is possibly a good guide for you to start, if you want to get more options or know how to compare with other models. First thing is that, all the pictures you actually see in the product listing, brochure by Canon are created on 3D softwares. Quite obviously they looks far better than they actually are. With the modern digital rise of China, with less Quality Control, you can not expect anything within $600 range to be robust, it had to be of a kind of economy grade plastic. I am not sure where these quality of Plastic and Rubbers are available, if you have a Windows HP / Compaq Laptop, you have seen them before. That money definitely still has some value. As an buyer our options are always two – either to accept this rare quality of Plastic and Rubbers, be it HP / Compaq Laptop or a DSLR ; or get ripped out by paying up to 10 times more for a better quality product. Apple’s Mac is a perfect example. We possibly all expect something in the middle, but unfortunately there is nothing in between because, if a MacBook Pro has 1 GHz Processor and 1 GB RAM with the same quality of build, no one will buy, most will opt for rare quality of Plastic and Rubbers from HP / Compaq because the processor and other specs are far better working. These things are written as you possibly get angry after unboxing and using it for few days with some smells of adhesive, the viewfinder that hurts your costly spectacle. In other words, the build quality is not taken in to account, only the capabilities are mentioned. Canon 600D is, perhaps, the best entry-level digital SLR in the world of cameras on the market, features and functions to be number one at that price compared with the others. As lovers of this segment of camera, you will appreciate the fact that Canon has provided intelligent automatic modes that is able to scan the surrounding environment and choose the specific optimal settings in order to get every time the best shots like bridge or high end Point and Shoot camera. Shutter lag is less, really less. Live View will not have something to worry about but it is actually 95% view of the real shot, situations and the views that you want to capture as a souvenir of your vacation or an important moment of your life with instant shooting. So practically it falls among the 1000D category. ts compactness and light weight make this Canon also very easy to carry, especially when one considers that it is still a DSLR, these are basic reasons for me to opt for this model. Canon EOS 600D is equipped with a APS-C CMOS sensor, which can not not be marked as very good feature, it has a resolution of 18 megapixel, well supported by the DIGIC 4 image processor, that part of Image Processor is probably the best of this camera. The camera is capable of generating realistic and well saturated colors and works well even in low ambient light. The ISO has an area ranging from 100 to 6400, expandable up to 12,800. Canon EOS 600D has a continuous shooting speed of 3.7 frames per second. May not seem quite high, but it is perfectly in line with the values of the class and definitely allows anyone to capture the desired scene without losing the decisive moment. The auto focus system of the Canon EOS 600D is of 9 points. Its accuracy is supported by the central AF sensor, it is the same on some Canon professional DSLR cameras. The latter has 63 zones measuring sensor some extra things. Hardware is almost the same. 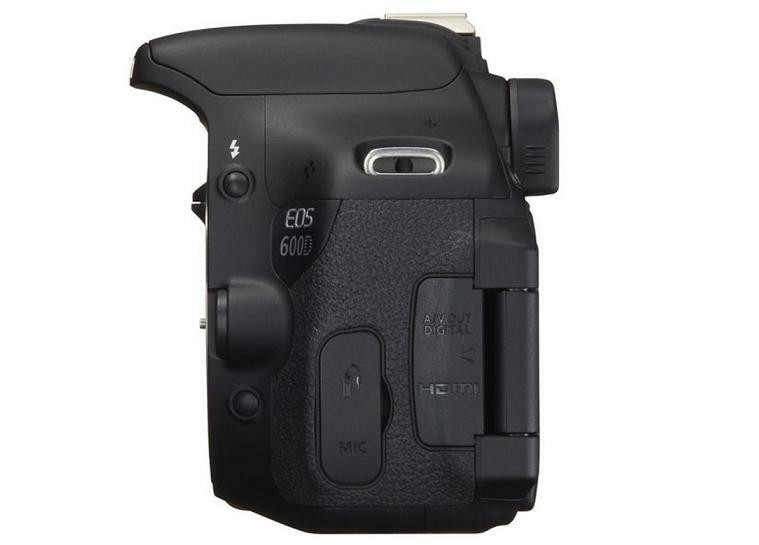 Canon EOS 600D has a 3-inch ClearView LCD with a 3:2 ratio and swivel. It is not really as clear as Retina Display, but nowadays display quality are usually the same as possibly all are manufactured by either Samsung or LG as OEM. Swiveling display is really a good thing – it get a protection itself plus you can do self portrait easily. This thing was not present on the previous model. It has some funky software features, practically an upgrade of the firmware. Kit Lens is not bad and I will suggest to go for the model with Kit Lens and buy one Nifty Fifty along with it. With Nifty Fifty and Nifty Two Fifty it works well. It is better not to experiment with higher ISO. China products has made this kind of slots a 'standard'. Sony might be better if you shell out a bit more, but you can forget about the cheap third party accessories and firmware hacks. Rest is Nikon. Nikon is possibly better at higher range. The rare plastic and rubber materials I was saying, is more prominent on Nikon’s closer priced models. If these brands asked for better rubbers, possibly we can find something good from our household. As basically we can not manufacturer a DSLR at home, you have to accept the bad taste in mouth. Keep in mind, it will not survive if you expose it to snow, rain, sand etc. Canon 600D DSLR is never a best DSLR at that price (if you do not have money growing plant, you have to buy at least two prime lens for the maximum out of it), but the fact is – there is no other alternative DSLR with such features at that price. Definitely the bodies were far better in Film DSLR days. Possibly these manufacturers know that, the life of usage is hardly 4 years, thereafter users will upgrade and most will get happy with the makeup making it looking better. This Article Has Been Shared 4668 Times! Shutter Lag is the time difference of time or gap between the pressing of the shutter release button of the camera and actual movement of the shutter mechanism. Cite this article as: Abhishek Ghosh, "Canon 600D DSLR : Review and Opinion," in The Customize Windows, February 10, 2013, April 24, 2019, https://thecustomizewindows.com/2013/02/canon-600d-dslr-review-and-opinion/.